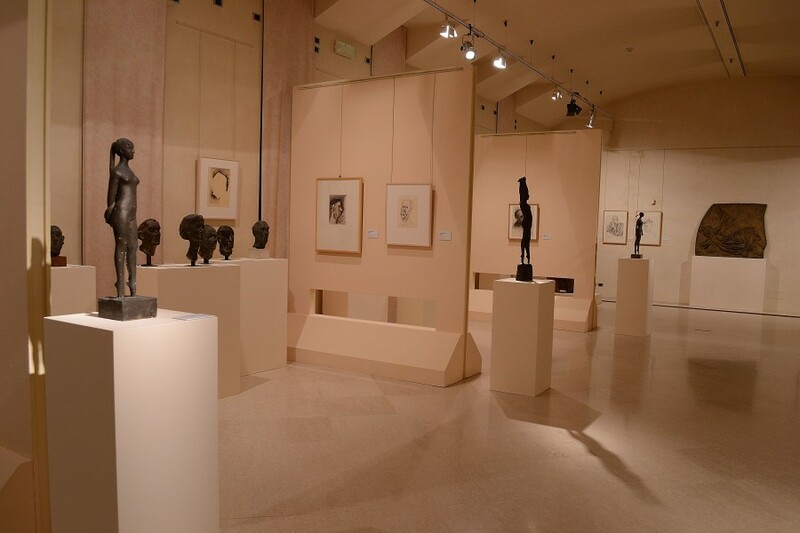 For the first time sculpture arrives at the Magnani Rocca Foundation with two of the most important and known Italian artists from the post-second world war period, Giacomo Manzù and Marino Marini. An innovative dialogue between sculptures, paintings and graphic works, in total 90 artworks, will be open to the public till next 8th December. Born from a collaboration between the Magnani Rocca Foundation, the Raccolta Amici di Manzù of Ardea (Rome) and the Marino Marini Foundation in Pistoia, the exhibition has as main aim to propose a new approach to the interpretation of the two sculptors’ works. By the title “Manzù/Marino. The last moderns”, we understand that the keyword of reading these artworks it’s modernity. Flavio Fergonzi, who contributed to the catalogue with an essay on the two artists’ photographic success, during the exhibition’s opening explained the title’s choice: “After a long silence between the two world wars, Marino and Manzù had been the first two artists bringing innovation in Italian sculpture, with remarkable rewards also abroad. They’re modern because their priority was the study of the form, according to the avant-garde belief system. They’re “the last” because everything after them wasn’t modern, but modish”. During the Sixties we see the arising of conceptual art, whose subject is idea first than form: these two artists, between others, have been the last tied to a pure formal study, even remaining attached to a realism who typifies the most of their artworks. This reflection on form is evident, concerning Manzù’s work, most of all in the cardinals’ series (we can see two examples of this kind in the exhibition, an impressive one more than 3,20m high), simplifies in their volumes, sometimes rounded, sometimes flattened, and synthesized in face’s expression. Also Inge’s portrait in the last room let us think about two geometrical overlapping volumes, an unnatural representation of a human bust. Anyway the sculptor never totally quits realistic particulars, as we see in his wife’s face features or in small buttons of the blouse she wears. Tension and tragedy in Marino’s works show all their energy in the “Horse and horseman” room, where the same subject is studied and fully explored till his dissolution. 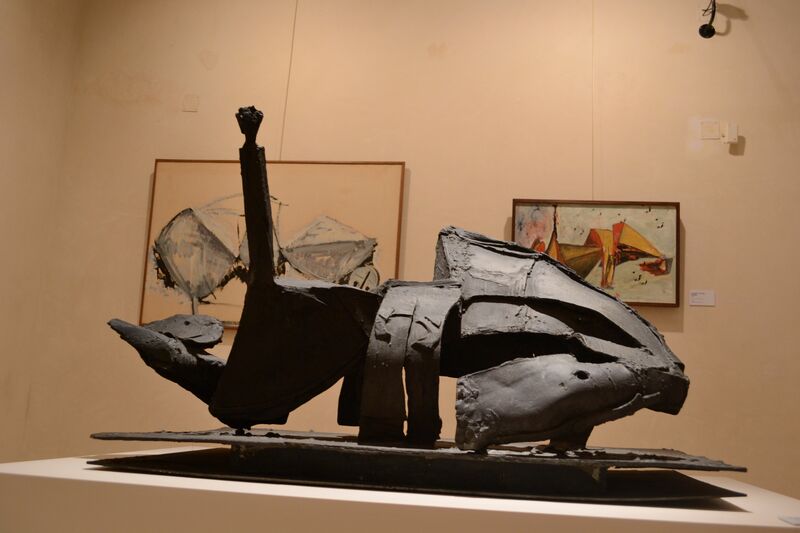 Following a fascinating rhythm we start with more figurative and equilibrated sculptures (“Horse and horseman”, 1950), we pass by the fall of “Miracles”, finally arriving at the almost abstraction of the “Scream” of 1962. This comparison, done on purpose by curators, Stefano Roffi and Laura d’Angelo, surely wants to put in evidence the two artists’ different approaches to sculpture, but also wants to suggest a dialogue never tried before. Historically seen as rivals, because of their different artistic conceptions and their social classes, the sculptors here are represented as son of the same era and even not so far in their formal research: even if with different results and dynamics, they both show a marked interest in exploring pure forms, in innovations and contemporary artistic conquests. In other words, they both show their modernity.